Twenty pipe bands will make the journey to Maclean to compete at the 115th Maclean Highland Gathering on April 19 and 20. 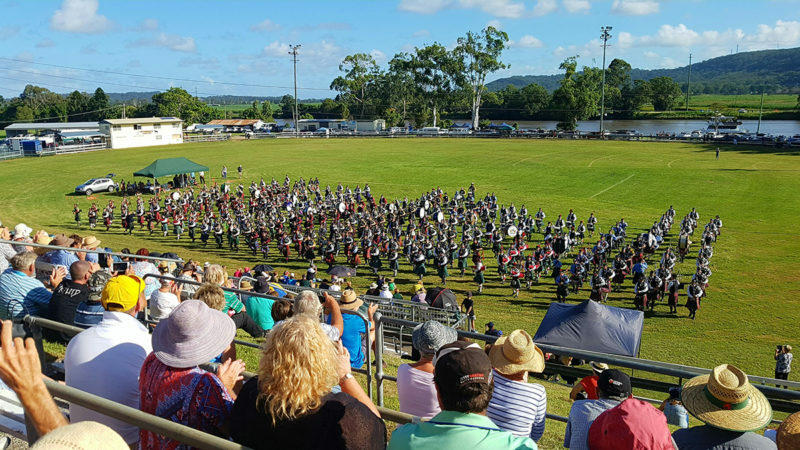 However, not all of the bands will march in the street parade on Saturday morning … but they are all competing at the Maclean Showground, where the program kicks off with the Highland dancing competition, which features over 80 dancers. There’s an action-packed program of Highland sports, too – putting the stone, hammer throw, caber toss, etcetera –, and competing is open to all, entry is free. The sports program also includes all levels of boys and girls races. On Good Friday night the spot light shines on McLachlan Park at 7.15 pm when the open air Ceilidh (concert in the park) begins. A night of entertainment featuring Highland dancers, special guest artistes and the colour and sound of the massed pipes and drums officially starts the 115th Maclean annual event. See next week’s Independent, for a full rundown of the Highland Gathering’s events.